Throughout the show, we've whizzed through the history of exploring our solar system. Izzie asked Chris Hadfield what he thought the future of exploring space will be like. Plus journalist, Stuart Clark, takes us through the future of space exploration. Chris - I think it will just mirror the extension of the history of exploration of the surface of the earth. You know, we used to all live in Africa and over 70,000 years we've spread everywhere that our technology will take us and allow us to stay, including in the last hundred years living at the South Pole in Antarctica with a pretty pretty high level of comfort. And for the last 18 years living on-board a spaceship orbiting the world continuously up in the International Space Station, so it's really just our own imagination and technology that limits us. I think it will take us from the space station, to orbiting the moon, to the surface of the moon, and not just to explore like we've done but to actually make that part of the normal human experience where people will be living on the moon. It seems fanciful but so did living on the space station or living in Antarctica not very long ago. Once we've sorted out a lot of the technology living on the moon it'll open our ability to go even further - eventually mars and beyond. Izzie - I was just going to ask, we've heard a lot about exploring Mars so if humans could go there, would you want to explore the red planet? Chris - Oh of course! And it's not about if, it's just a matter of when - it's not like we can't imagine how. We just have to invent some things to make them trustworthy and safe enough that we would be willing to climb into them and travel that long way. It's not unimaginable, it's just we have to invent a few things first before we're gonna be willing to add that to the list of the places that we live. You have to make it safe enough, to then make it simple enough, to then make it cheap enough to make it worthwhile - and that's where we're headed. Izzie - Well Chris Hadfield thank you very much! And also with us is Stuart Clark, Stuart would you fancy a trip to Mars? Stuart - Yes in principle I fancy it! It's just the amount of time it would take. You know, I struggle to get to the supermarket with everything I'm doing at the moment so in principle I would love to go to Mars. Izzie - Also a six month trip to a supermarket would be pretty gross! Stuart - Actually that is pretty bad, when you put it like that Mars sounds like a doddle. Izzie - There are quite a few missions that are looking to Mars, what's going on? What are some of the latest things that we've seen? Stuart - Just in the last week or so we've had NASA's insight mission landing on the planet, and this is a really interesting scientific mission because it's all about the interior of Mars. It's all about looking inside, seeing how that planet is made, how active it remains today. This is a big, big thing because we think of Mars today as being almost a dead world but there's no guarantee of that. There could be magma on the move down there, which means that in principle you could have the volcanoes come back to life. Looking inside the planet we want to see how dead or alive is Mars. Izzie - Okay, so that's INSIGHT. But then we've got this other big mission in 2020, so how are they different and who's doing that? Stuart - Yes, the 2020 mission is the XO Mars rover and that's the European Space Agency's next mission to Mars. This is truly fascinating because it really will look for traces of life on Mars, and that could be present life or it could be extinct life - chemical fossils and fingerprints and things like that. Izzie - It's very exciting. Earlier we spoke about Voyager, and that really changed our view of our solar system. Would something like this have the same effects, or are there other missions that could create even bigger changes to how we see our nice system? Stuart - If you were to find evidence of life on Mars I couldn't imagine a bigger scientific discovery at the moment, because you can see whether it looks like earth life or is it completely different? Whichever answer you get, that's really significant for telling us about life on Earth and how unique or not we are, and how we evolved - all of those sorts of fundamental biological questions. 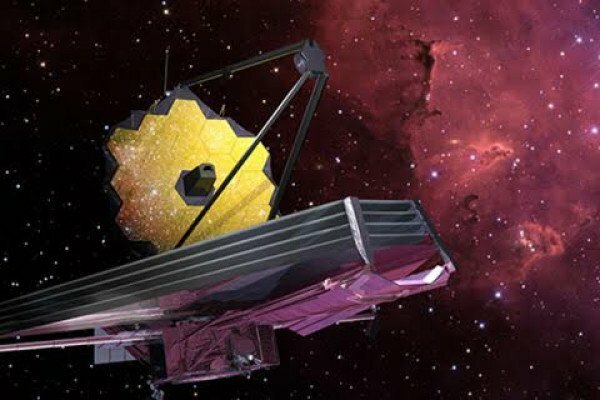 Looking beyond XO Mars and into the wider universe, the biggest mission to be looking at is the James Webb Space Telescope. This is the successor, if you like, to the Hubble Space Telescope. James Webb will look into space at infrared wavelengths, so wavelengths that are a bit longer than we can see with our eyes, and this will allow it to look into places that we've never properly been able to look before. Izzie - So, I mean, when we say that how is that even possible? Stuart - Because it has longer wavelengths of light that it's looking for, these can penetrate into dusty clouds and nebula close by so we can see young stars and young planets that are forming. It will also be able to look into the very far distant universe where light is stretched by the expansion of the universe out of the visible and into the more infrared wavelengths. It will be looking for the way that galaxies form. It may stand a chance of even seeing possibly the first stars that were there in the universe, which we've never seen before. Izzie - So it's basically an all seeing, very impressive time machine to an extent. Stuart - Yeah absolutely. It's a general purpose observatory that will look at the universe in a way we haven't yet been able to look at in this detail. In the past, whenever we've done that we have changed the way we think about the universe. Hayabusa2: Why visit space rocks? What would Earth look like from inside a black hole?